Make your Thanksgiving Plans in Findlay! Thanksgiving is a time to gather with those who are important to us and reflect upon what we are thankful for. For some, the thing they are most thankful for is not having to cook a meal!  If you fall into that category, visit some of these Findlay restaurants and enjoy great food with great people without a mess or the stress! Join Tavern at the Inn this Thanksgiving and let them do the cooking! Enjoy a lunch buffet of your favorite traditional Thanksgiving entrees and sides and a special menu for the kids. Cost is $22.95 for adults, $12.95 for children ages 4 – 12 and children 3 and under are free. Reservations are required, see the full menu here! Enjoy a classic Fall Feast this Thanksgiving, at Hancock Hotel! Your meal features a plated entrée of your choice – traditional turkey, 14 oz prime rib or salmon filet, served with a buffet of Thanksgiving favorites, including green bean casserole, sweet potatoes, desserts and more. The cost is $26 per guest, $15 for children ages 4 – 12. Reservations are required, call today or reserve your table online! Don’t miss out on the fun to be had on Thanksgiving morning at Women’s Resource Center’s annual Turkey Trot! The Turkey Trot will begin at 9 a.m. and wind through the scenic Country Club Estates neighborhood making this a great race for not only avid runners but also for families with strollers or pets. There will be prizes awarded for the best Thanksgiving-themed costumes and smoked turkeys as fun prizes for the frontrunners! Sign up here and see more holiday fun on our event calendar!